Our office team at South 40 Dental in Grande Prairie, have one goal: to ensure you and your family have a great dental experience in our friendly environment. Lee’s main goal at South 40 Dental is to ensure day to day operations run smoothly, and ensure the patient experience is always a great one. Lee works with the entire South 40 Dental team, dentists and patients. What she loves most about South 40 Dental, is the level of personalized care the entire team provides to patients, and our commitment to giving back to our community. She feels that because we have such an amazing work environment, it rarely feels like 'work'! Lee never misses an opportunity to be creative, she is extremely outgoing, and loves making people laugh! She squeezes in as much family time with her adult 'kids' and husband. Lee loves to spend time in the mountains. quadding, camping, and sledding with her family and friends. She has explored a few areas of the world, but has quite a few more places she is looking to check off on her bucket list! Cassidy has been with South 40 Dental since May of 2016. She attended the GPRC in Grande Prairie for Office Administration. Cassidy was born in Camrose, Alberta but moved to Teepee Creek, Alberta when she was just 3 days old and has been there ever since. She loves animals and has 6 horses, 5 dogs and one cat! 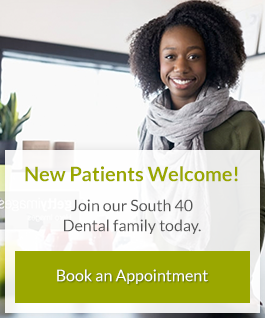 Cassidy chose South 40 Dental as she loves how involved they are with the community. The best part of her job is being able to build relationships with the patients. Cassidy enjoys the outdoors and lives the Rodeo Life. Her favorite sport is Barrel Racing and Fishing. Emilie has been with South 40 Dental since September 2015 and has worked in the medical field since 2014. She completed her Office Assistant certificate through Vancouver Island University. She moved to Grande Prairie from Campbell River, BC in 2012 with her boyfriend Sean to explore new opportunities. They recently purchased a home and have made Grande Prairie home, and have expanded their family by adding their daughter Tegan and dog Cash. The part of the job she likes best is seeing patients leave the office feeling confident and happy with their smiles. Some of her hobbies and interests include snowboarding, visiting her former home of Vancouver Island and enjoys the outdoors. You will also find her spending time with her family. One thing she really loves about working at South 40 is the passion we show for the community through various charitable events and volunteering. Kennedy moved to Grande Prairie from Mackenzie, British Columbia in 2014. She recently attended Grande Prairie Regional College where she obtained her certificate in Dental Office Administration. Kennedy does not currently have any animals but hopes to have a dapple dachshund one day. She enjoys South 40 Dental because the team really goes above and beyond for every patient and she likes seeing patients happy with their smiles. In her spare time, Kennedy likes visiting with her two nephews, being outside, and taking mini trips to the mountains. Hailey took her dental administration certificate at GPRC and proceeded to be placed at South 40 for her practicum placement, where she was hired and have been working for over a year. She was born in Slave Lake Alberta, and moved to Grande Prairie when she was very young, considering it home! Her favorite part of the job is getting to work with the Dental labs since she enjoys learning the process of fabricating crowns, implants and other lab cases the office deals with. The best part of her job is assisting patients with the best care possible! In the summer she enjoys swimming, traveling to British Columbia, snowboarding and playing board games with family and friends.